Caitlin Albritton reviews Round Square for Creative Loafing Tampa Bay. A round-up of artists who revel in the playfulness of materials. There’s something to be said about trusting one’s intuition when it comes to the balance of color, line, and all those other formal elements that make up the foundation of art. Something just looksand feels right, even if we may not be able to put our finger on it. 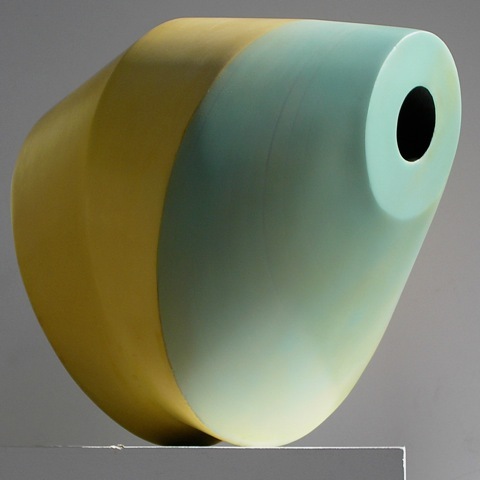 Guided by those artistic instincts, guest curator Kathy Gibson has rounded up works by Edgar Sanchez Cumbas, Kendra Frorup, Babette Herschberger and Charles Parkhill for Round Square at the Florida CraftArt Gallery that explore the playfulness and elegant simplicity of materials.